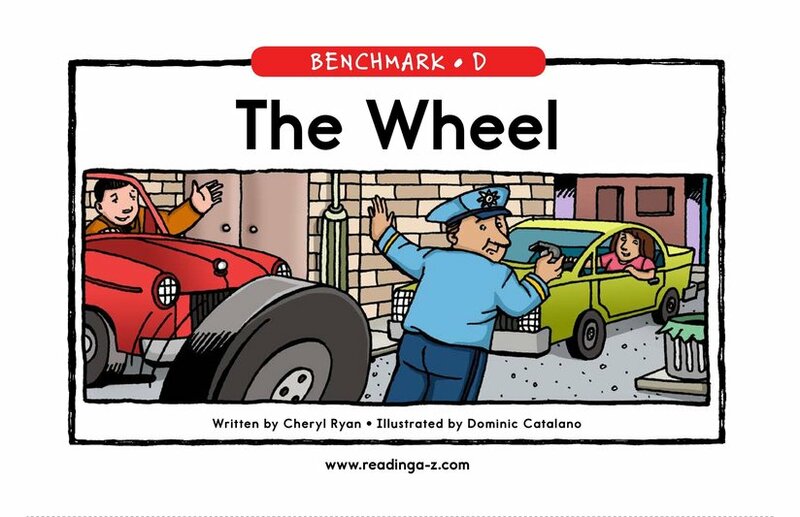 Realistic (fiction) 101 words, Level D Benchmark (Grade 1), Lexile 120L. 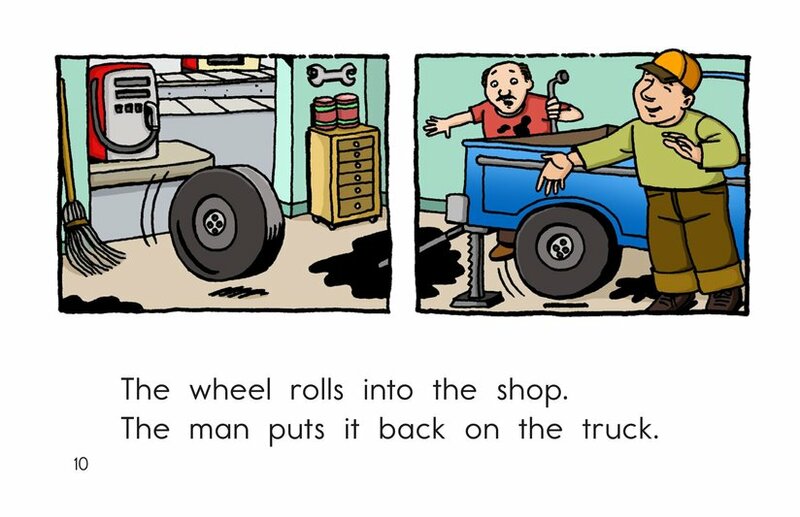 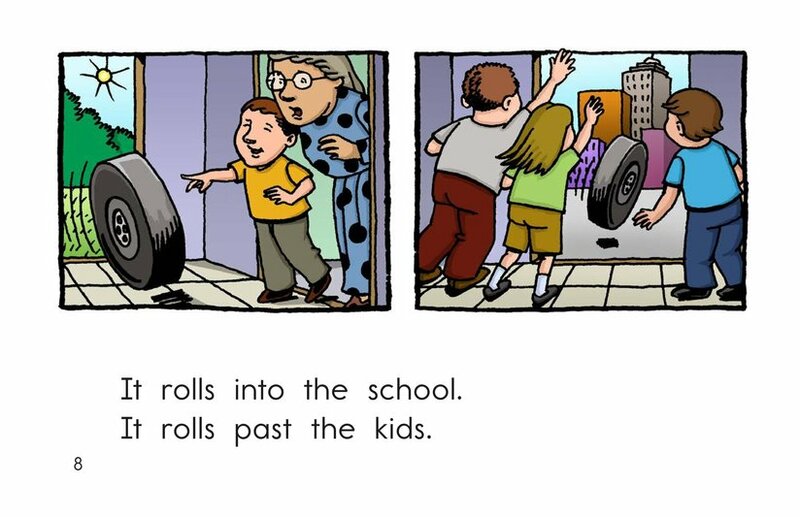 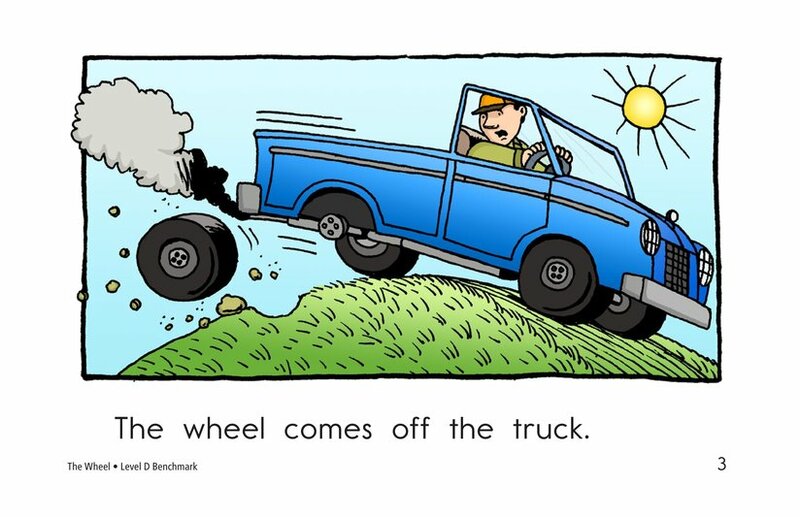 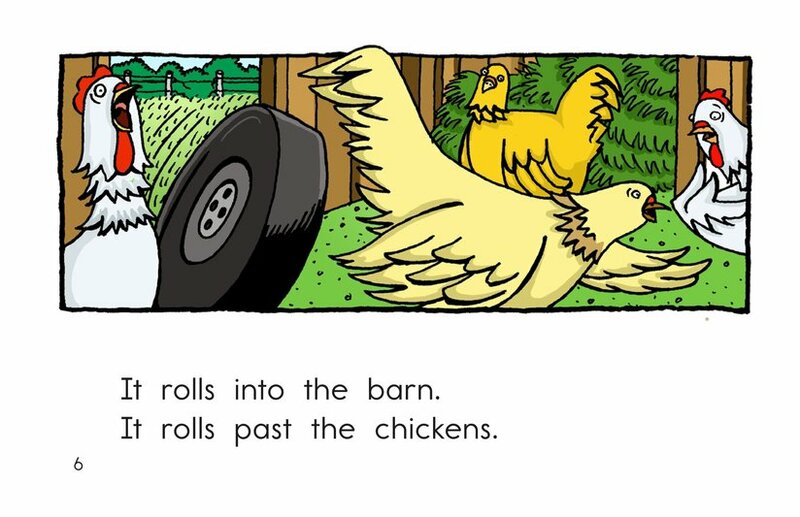 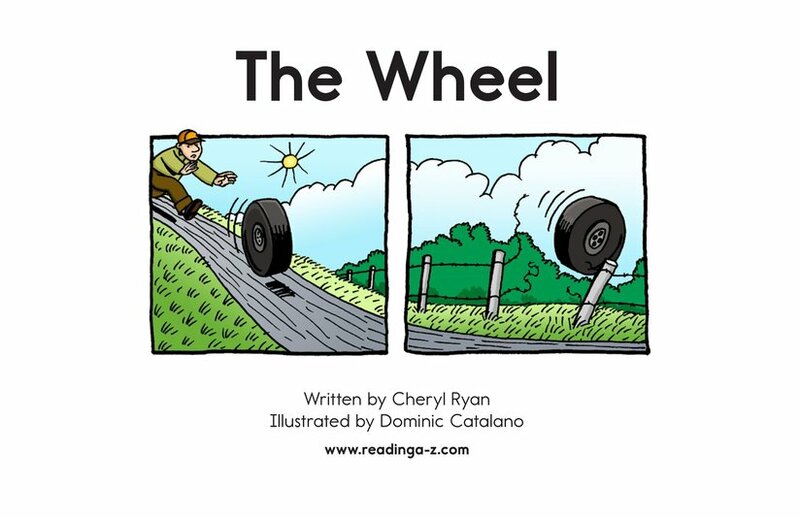 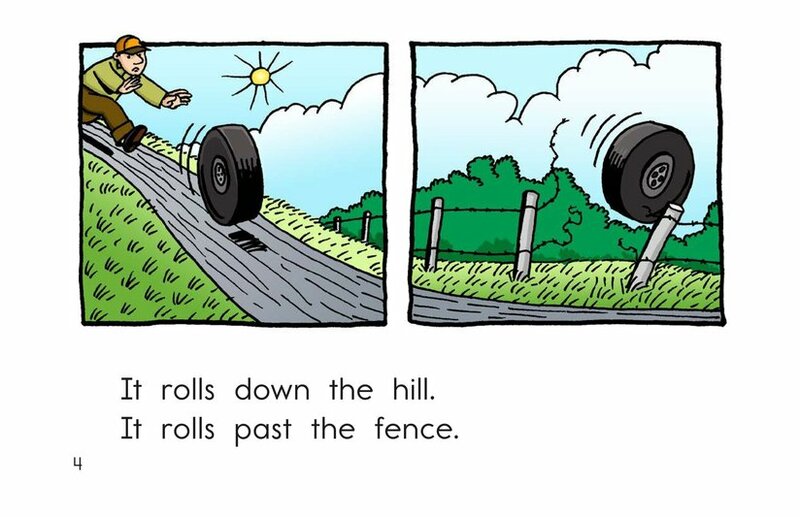 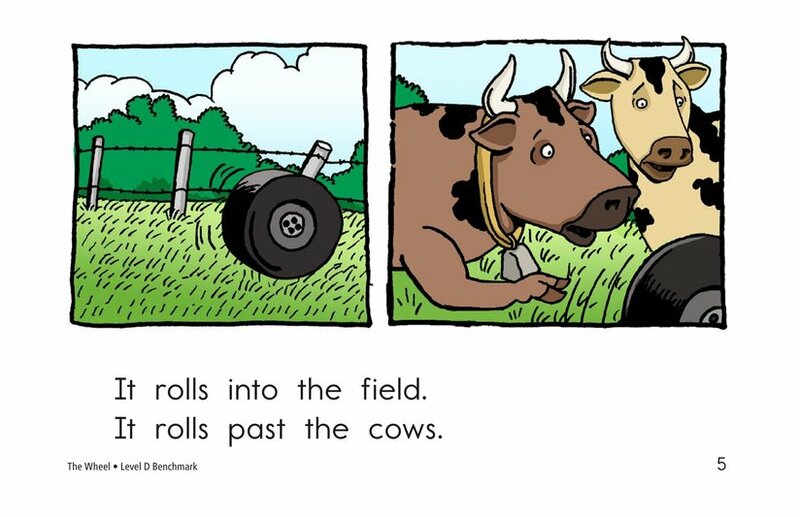 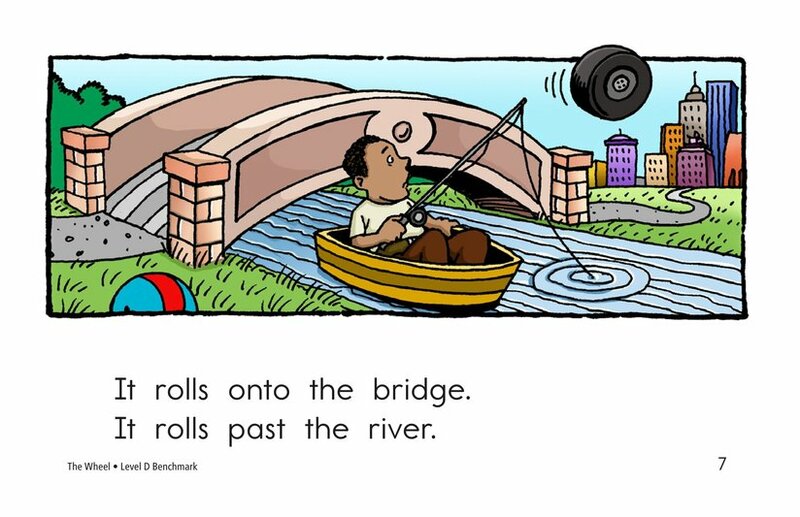 Readers follow the path of a wheel that travels through town after falling off a truck in this circle story. 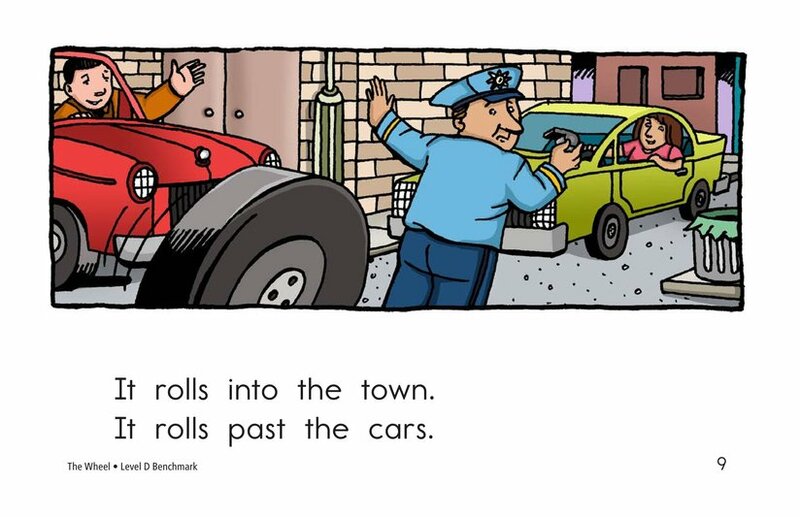 Strongly patterned text gently introduces readers to a variety of prepositions. 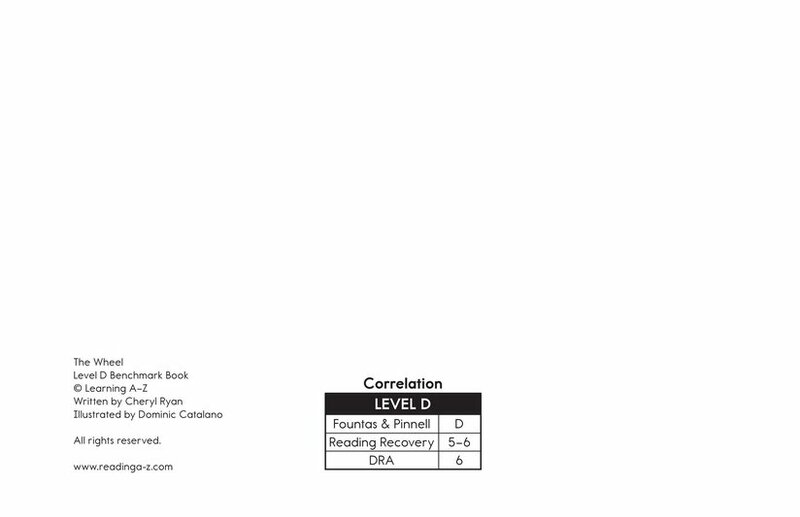 Use of Raz-Plus.com materials requires the purchase of a subscription to Raz-Plus.com.